Topics: New Motorcycle, Kawasaki, Concept, and Triumph. The site has about 281 users daily, viewing on average 1.70 pages each. It is hosted by Google Inc. California, using GSE web server. 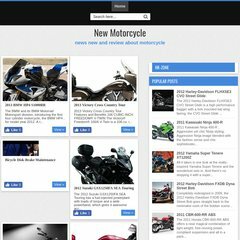 A-new-motorcycle.blogspot.com's IP address is 72.14.204.132. A time of 21.6 ms, is recorded in a ping test.